Albert Einstein classified insanity as doing the same thing over and over again and expecting to see different results. 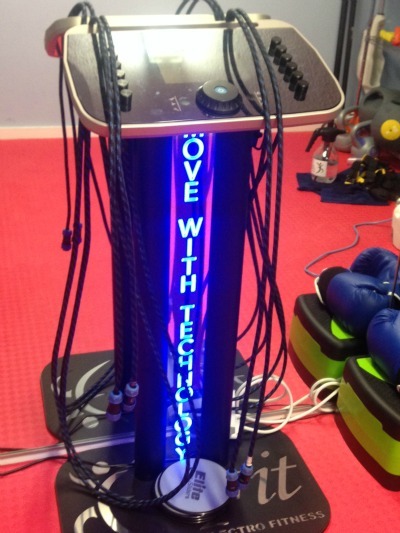 So in a bid to get smarter with exercise, the Live Like a VIP team signed up for something completely new – Electronical Muscle Stimulation Personal Training. 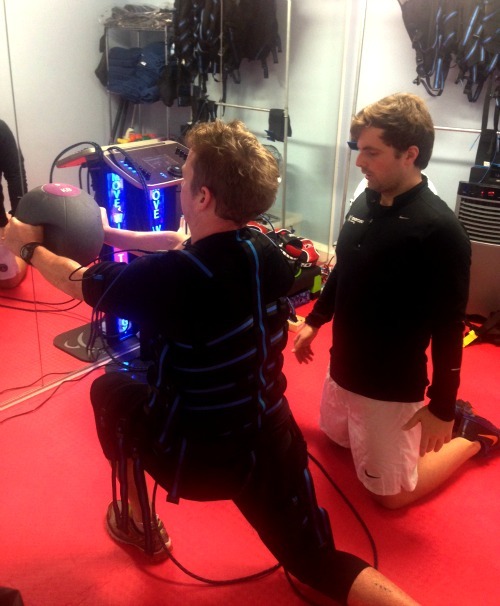 Exerceo Training is the leading place to do EMS in the UK and they currently have two studios in London. For city workers, there’s a studio close to Liverpool St station which is open early for pre-work exercise and closes late. We visited the venue in Parson’s Green, West London as we found that a more convenient location. So what is EMS? 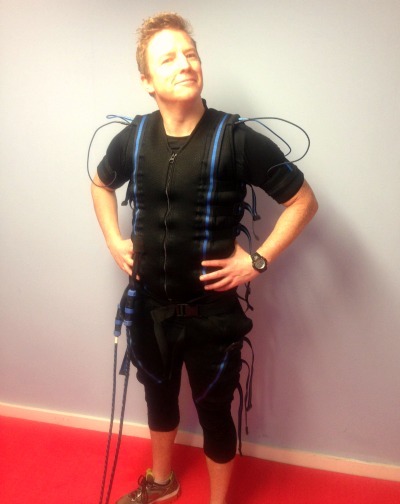 The Exerceo website sums it up as a full body training exercise using impulse current. EMS mimics the central nervous system, activating muscles, which it does through electrical impulses. 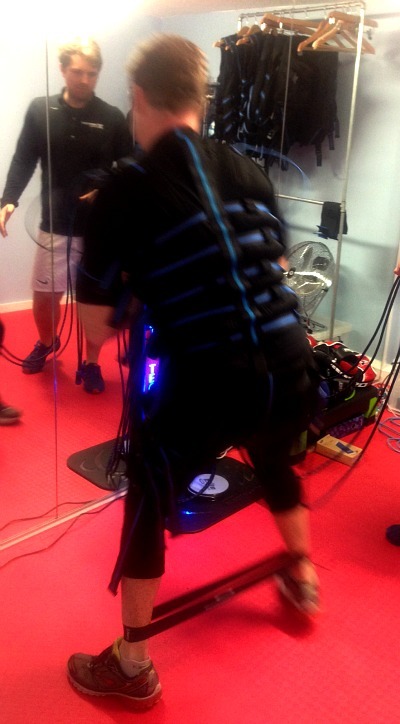 These are delivered through electrodes above the muscles through the suit that you wear to train in. It’s an impressive piece of kit. We’ll admit it’s not the most flattering outfit ever but it is comfortable and not as heavy as you’d expect. Leggings, t-shirt, the suit and a towel for the shower afterwards are provided so you won’t have to carry around a heavy gym bag if you work out here. And there’s another benefit long- term in that you will see results quickly if you do EMS. 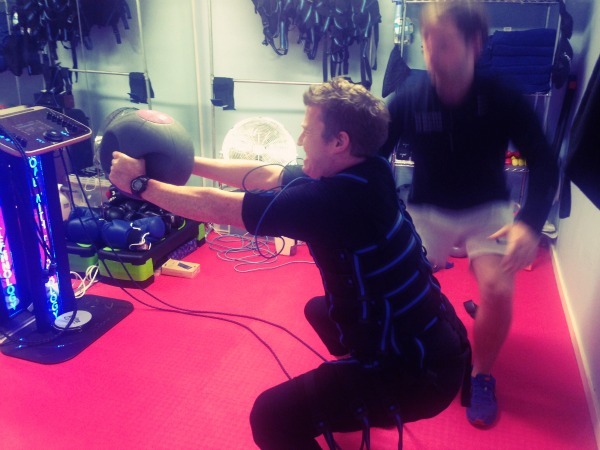 This is because the impulses reach deep muscle layers which are hard to activate through conventional training. Doing this three or four times a week could leave you with a tighter bum, firmer thighs and stronger abs in around 3- 4 weeks compared with 6 weeks of traditional gym work. And did I mention that the sessions are short? All you need to find in your day is 30 mins and you can have a lot of fun doing it. Our trainer Sean Boynton explained to us that the suit was made of carbon fibre so that the impulses could be better conducted. They’re only as powerful as a mobile phone current so the’re not painful but they are powerful enough to make a difference. Throughout the session the impulse level is monitored and turned up as you warm up. If you have any problem areas you can focus the high intensity exercises on these areas to improve your bum / stomach / arms / chest. 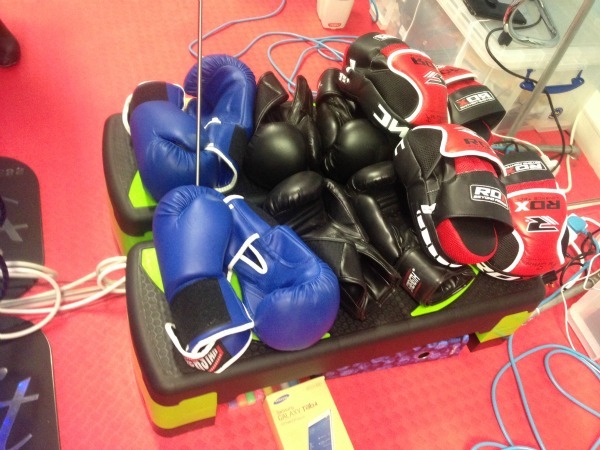 Exercises include squats with weights, resistance band moves, press ups and even boxing if you want an arm workout. Each exercise is repeated as much as possible for 7 seconds followed by a 3 second break and then that sequence is repeated 6 times to make it a minute. The 25 – 30 mins passes so quickly that way! Here’s Sean taking us through some of the moves. After the session, we were warned that there could be some stiffness as we were working muscles that don’t normally get used. That was definitely the case a couple of days later – you feel like something’s happening in your body, which can only be a good thing in the long run. 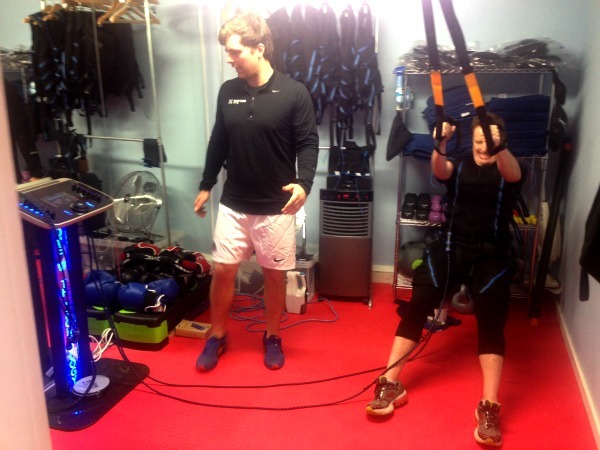 Although EMS is popular across Europe, Exerceo is relatively new in London as director Tom Chance started the business 6 months ago. Getting in there now before the crowds may be one of the most clever things you can do when it comes to your health and fitness. SPECIAL OFFER: For a limited time, your first session will be FREE. Email hello@exerceotraining.com to book your place. After that, prices depend on whether you buy a package or a single session but start from £35 for a 20 session bundle. 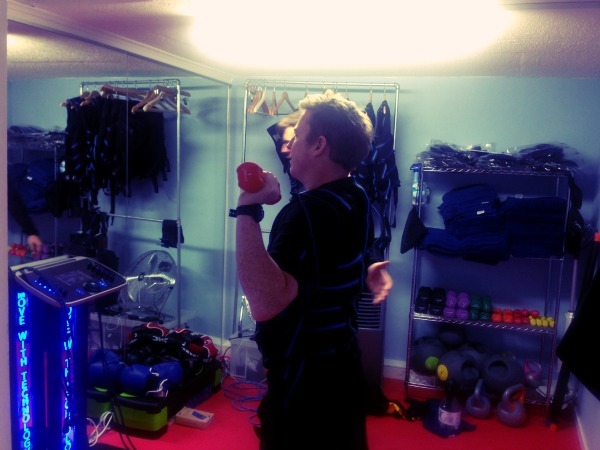 Remember this is for one one one or one on two personal training in central London! For more details visit the Exerceo website.